But it gets a little more complex than that. We also have truss bridges. Somewhere the Cantilever fits in. In addition, sometimes Cable Stayed bridges have their own category, while other times they are simply a sub-class of Suspension. For ease of use, Garrett’s Bridges classifies six categories of bridges. Each of these is unique enough to be analysed separately. Each have their place in building model bridges, but we focus most on Truss Bridges. The most simple and common type of bridge used in the real world. This type can be quite effective, even if it isn’t very beautiful. Most highway bridges fall under this category, made from I Beams and reinforced concrete. While we’re on the subject of beams, it is worth noting the different types of beams. Beams can be made into different shapes, and used on any bridge type. The most simple is a solid square beam. Engineers figured out that a solid beam is not the most efficient, so they started using different shapes. the I shape beam is quite common, as well as the L and T beams. You might also see a hollow square shape used now and then. While these types of beams are more efficient, something we value very highly at Garrett’s Bridges, they are also harder to make. But the reward can be worth it. You can see an example of an L Beam in the Fernbank Bridge. We also have an example of an I Beam Bridge, and a bridge that uses a T Beam. Here at Garrett’s Bridges, we love the Truss Bridge. Most of the model bridges you will find here are truss bridges. We dedicate quite a bit of web space to analyzing Truss Design and how to customize a truss to fit your needs. Truss bridges are fun because it is easy to analyze them using the Method of Joints, or by using a program such as the Bridge Designer from Jonhs Hopkins University. Arch bridges are beautiful, and effective. In real life their effectiveness has a limited range, meaning they are limited in effective length. How Stuff Works does a pretty good job explaining Arch Bridges. The problem with using a Cantilever (as well as Suspension and Cable Stayed bridges) is that they need to be anchored down to something. Real bridges are anchored to the ground using concrete abutments. Model bridge makers do not have that option. Most model bridges need to be portable, which means you can pick them up and plop them down in another spot. 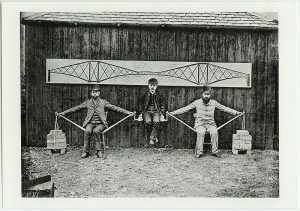 We don’t know of any model cantilever bridges. If you do, please share by leaving a comment at the end of this post. 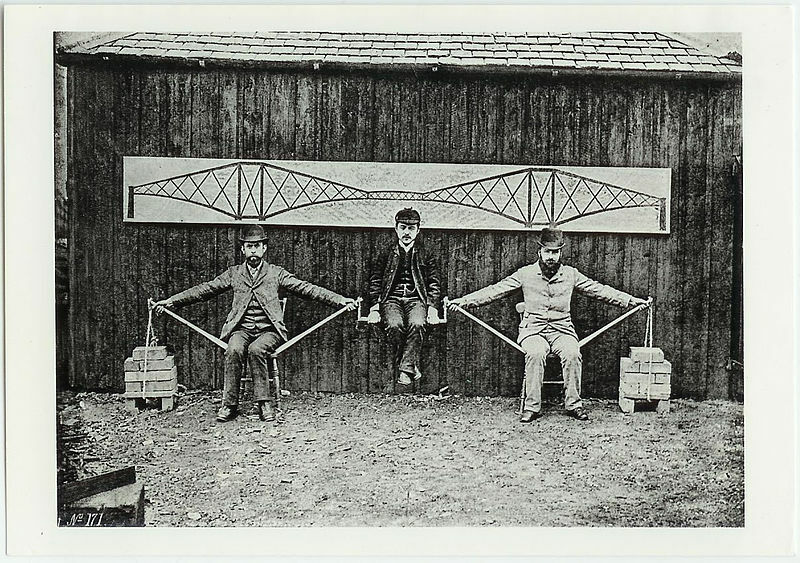 Wikipedia has a pretty good article on the Cantilever Bridge. Suspension bridges are some of the most beautiful structures known to mankind. Their elegant curved cables. Not only are they nice to look at, but they allow engineers to design longer spans than any other type (with the exception of Cable Stayed). Suspension bridges work by using their main cables to transfer weight from anywhere on the bridge, over the top of the towers, down to the anchor points at each end of the bridge. This is quite effective. Cable Stayed bridges are similar in concept to suspension bridges, and thus are sometimes lumped together with them. However, they differ in that there is not one continuous cable that stretches from one end of the bridge to the other. Instead, it uses its towers as a focal point with cables going down to the deck on both sides in straight lines. Unlike a suspension bridge where the main cable is not tight, the cables on a ‘Stayed bridge are very taut. Here is a page from PBS that explains Cable Stayed bridges in more detail. is there an MLA citation for this? great helps me study soo much!!!! This really helped when me and my partner had a project to do. We had to placed a book on a bridge and shake the tables that were under it and it really helped and I that the people who created this website caused it really helped. Just wondering the best type of bridge to construct over a canyon. Hi, do you have any material on moveable bridge models such as swing, vertical lift, folding etc.? Thanks for the awesome site as well. No, unfortunately I do not. At least not at this time, although I am dreaming of building and adding pages about movable models. I would like to know how many of each bridge are in the united states? No other bridge type, to my knowledge,has this turning moment. That is an interesting question. I assume it has to do with the stiffness of the decking. 37 queries in 0.377 seconds.